SmsHorizon is India's top Enterprise Messaging solutions provider located in Salem, India. 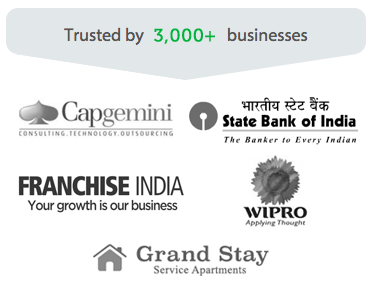 By working with 3000+ Valued Customers all over India ranging from Start-ups, Educational Institutions & some of the Blue Chip companies, we have made bespoke SMS Solutions to meet every customer's needs. Send SMS to individual or groups or by uploading excel file. Send over 5 Lakh messages in a single hit. Get delivery reports of every single SMS you sent. Read more.. Receive thousands of messages per minutes on our Virtually hosted 10 Digit Mobile Number. Send auto response, customised reply, get incoming alerts on mobile, email. Read more..
Access everything on API right from sending sms, receiving sms, tracking reports, missed calls and short code. Integration gets even easier with our sample files. Read more.. If you wish to advertise your product for minimum charges and yet achieve maximum reach, then a Bulk SMS Service Provider should be just the right choice for you to proceed with. SMS is one of the most popular means of communication for this generation and thus, holds immense potential as a marketing tool. Almost everyone owns a mobile phone today. People are fine tuned to skip commercials on TV however interesting they may seem. A short text message highlighting the important features of a product or a service is more likely to provide accurate information to prospective customers. Bulk SMS Services are the surest way to make your message reach several people across the globe simultaneously. Bulk SMS in India is one of the most popular means of marketing employed by several fashion stores, music and movie retailers, restaurants etc. Bulk SMS can not only be used for advertising local businesses, but also for offering coupons and discounts to existing customers, to conduct contests and surveys and for letting customers know about other services and offers provided by the business. There are many companies offering cheap and efficient bulk SMS Services in India. You can register with us and send Bulk SMS Online to several people across India in matter of minutes. We offer software tools for sending messages to several people, all at once. Messages can be sent to all of them by loading list of numbers into the web interface. Anyone can register with us and start SMS marketing almost instant. We provide you with a Bulk SMS Gateway which supports almost all mobile carriers whether CDMA or GSM. We provide bulk sms with API, Sender ID's & delivery reports which gets updated almost instantly. Some of the common interfaces provided by Smshorizon, a Bulk SMS Service Provider to users are the Web Interface, Excel plugin to send SMS from Excel Sheet, & API to integrate seamlessly with your software. Protocols such as SMPP, HTTP, XML are supported by us with each having its own distinct advantages. Bulk SMS Services as a marketing tool offer several distinct advantages over other media like TV, radio, magazines, newspapers and internet. It can be delivered to people irrespective of location and time. Even if the phone is switched off, the SMS is received the moment the phone is switched on. You can be sure that the message through SMS will reach the user, irrespective of whether they choose to read it or not. With e-mail, your promotion may end up in the spam folder. 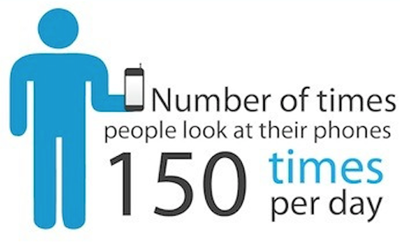 People carry mobile phones everywhere they go, means, faster & quicker visibility over Tv or other advertising medium. Bulk SMS keeps you in touch with your regular customers in a more personalized way. It is easier for people to act upon received SMS immediately. For instance, users can reply or call to the given contact number specified in the original message. You can collect feedback instantly using missed call services if they are interested, thereby you have a more accurate idea of the success of your marketing strategy. With Bulk SMS, you don’t have to laboriously send messages to every recipient. You can send messages to millions of people at once. 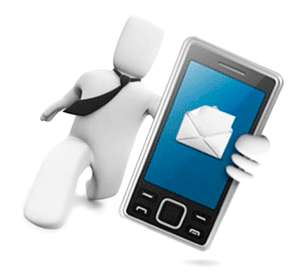 You do not require any special infrastructure or expensive technology to implement send SMS. Its pay as you go. Bulk SMS services are much cheaper than advertising in TV or Radio for the same or even more amount of reach. If you are searching frantically for the Best Bulk SMS Service Provider in India, your search ends with us. Mentioned below are few of the reasons on why you should choose us. Speed: You do not have to anxiously wait to ensure that the bulk SMS you sent quite some time back has reached your intended users in time or not. We have the fastest Bulk SMS Gateway to ensure 100% Instant delivery, upto couple of seconds on bulk push. Quick Setup: Register with us and start marketing right away. We do not have long drawn setup processes to waste your precious time. Our interfaces and software are available to you within matter of Minutes. Best Prices: For Bulk SMS Services of such high quality, we are the Cheapest Bulk SMS Provider you can find. Customer Support: Stuck with a problem? We are just an email or phone call away from you to fix any of your issues with our services. SBI, Wipro, Society of Indian Army are some of the few. Delivering in seconds to Airtel, Aircel, BSNL, Vodafone, etc. SmsHorizon is quick & easy to use. I signed up, sent my first message and got it delivered in seconds, on top of it, all these happened within a minute. Their gateway is reliable and i was able to setup my API within matter of minutes as they provide the sample file to get started on my PHP application almost instantly. Above all, their support is impressive. Most of my emails gets answered within matter of minutes even late night, that's something i love it. Being an agent, i deal with huge campaigns for real estate companies. I have tried more than 5 sms providers and i should say SmsHorizon is the best in every aspect. Finally i went with SmsHorizon's customised promotional SMS package to give it a try. You know what? i literally got 3x number of calls than i did with other providers. Point is SmsHorizon provides transparent and genuine service. Hats Off to you Guys!! Start Sending SMS with SmsHorizon Today!